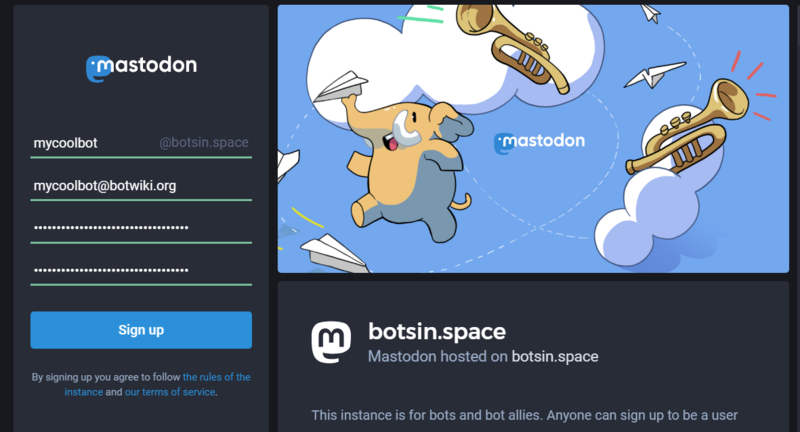 This tutorial shows how to make an app for Mastodon on botsin.space. Making apps/bots on other Mastodon instances or Fediverse networks might be a bit different, but the general process should be the same. First, sign up for an account that will be used for your bot. After you confirm your email, click the “Edit profile” link under your username and check off “This is a bot account”. After this, go to the Preferences page (the “cog” icon) and then click Development. Now click the New Application button. Name your application, keep the settings the way they are, and click the Submit button at the bottom of the page. 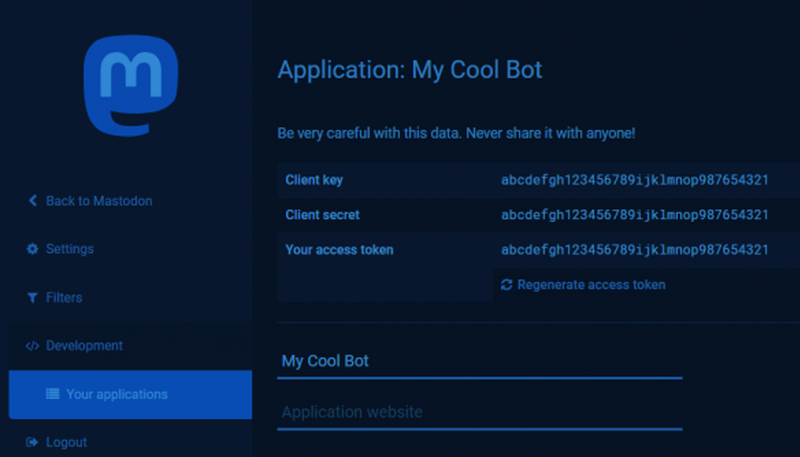 Now you can click your application’s name to reveal the access token for your bot. If you only see your API key, use this tool to generate your token. And you’re done. Check out the resource page for Fediverse bots here on Botwiki for tutorials and starter projects, and be sure to share what you make with our community!